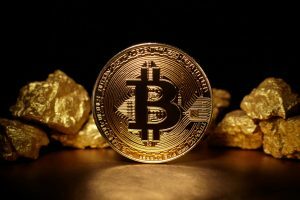 Can Blockchain and Gold Coexist? “Blockchain” technology, a form of digital record-keeping, has increasingly become the answer to all the woes of the financial industry. Amid accounting scandals and unethical behavior in banking and trading, more people have turned to this public, distributed ledger. The basis of much of its appeal is the secured cryptography which forms the backbone of the system. Recently, the Senior Vice President at Fidelity Labs remarked “blockchain technology will change the world." Why does he believe this modern marvel holds such potential? “The big story is you can transfer value through software and software alone. This is a huge societal breakthrough,” he remarked. Bitcoin has become the most popular incarnation of this technology. However, can the modernity of blockchain be translated to the tradition of gold? The CME Group, based in Chicago and Britain’s Royal Mint believes they can marry the two. Recently, they started to test blockchain as a capability for trading gold. The initial testing has occurred with a few unnamed major financial institutions. If successful, the system is scheduled for a full launch before the year ends. Each unit represents a digital holding of 1 gram of gold held in a vault. Why is blockchain technology considered safe? The answer lies in its shared existence. That is, the system is decentralized, existing across a network of computers. Therefore, it’s not possible for one person to retroactively alter a transaction without simultaneously altering all preceding transactions which would precipitate the collapse of the system. Simply put, blockchain exists everywhere at once. Attempt to change something and everyone will know. Think of it as a digital hive. “There is a higher level of traceability and audit that comes with blockchain technology because participants are provided with a permanent, immutable record of ownership and chain of ownership and custody,” remarked the chief operating officer associated with the gold blockchain project. While the promise of blockchain technology is encouraging many caution that we’re in the earliest years of its development. In an interview Don Tapscott, the co-founder of the Blockchain Research Institute, explains that we still have progress to make with respect to the reinforcing structure of the technology. He warns that “This new community is in its infancy. Unlike the Internet, which has a sophisticated governance ecosystem, the whole world of blockchain and digital currencies is the Wild West.” Interestingly, one problem on the horizon, he posits, is that the popularity of the technology could be its own undoing. Block sizes will need to increase to accommodate a growing number of transactions. For now, it seems blockchain technology and gold aren’t the perfect pair. While an evolved version of the tech might change this assertion it appears that today gold is still gold. Moreover, physical gold investors have a long way to go before being convinced that a portion of digital coding will instill the same confidence as bullion in a safe. Much like ETFs blockchain gold ownership undermines one of the most appealing aspects of the investment, its tangibility.